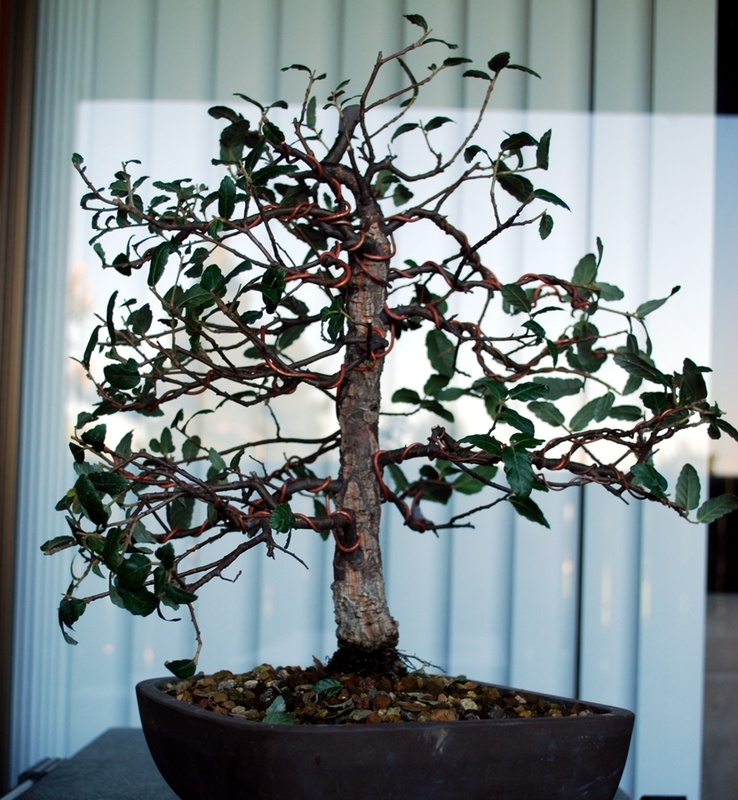 Purchased this cork oak from a nursery in southern California in 2009. 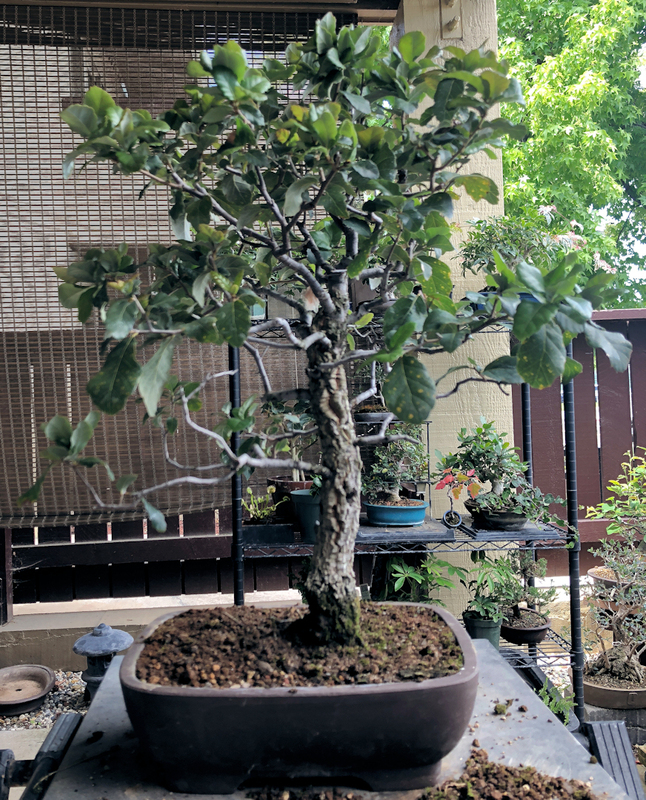 It was in a standard nursery pot from a bonsai grower. 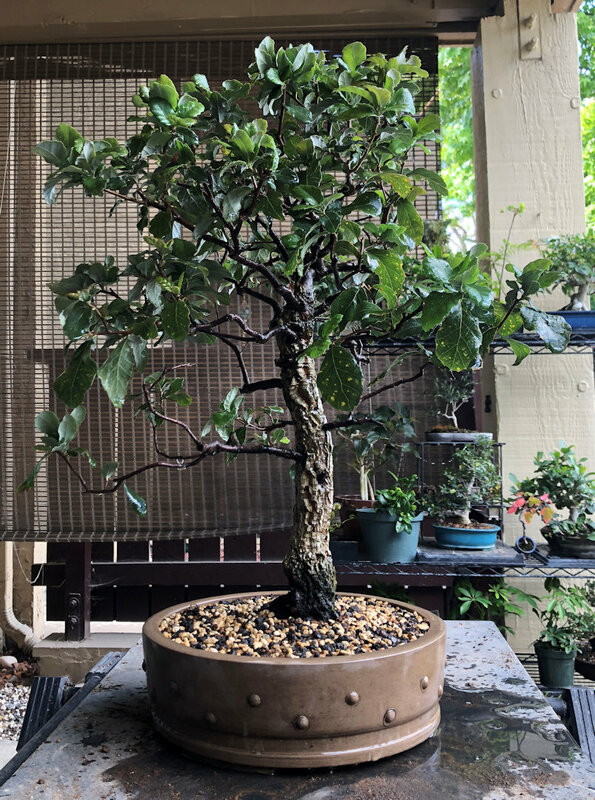 When I got it home I was shocked to see that its roots were mostly 4 plus inches below the soil level with a stick in between with only a few small feeder roods in the nebari. So, I left it to develop roots, In 2010, I re-potted it into a grow pot and waited for the corking to begin and roots to continue to develop. Today the tree has a nice canopy and has been producing considerable foliage. I wanted to re-pot this one before the heat started to build in my area. 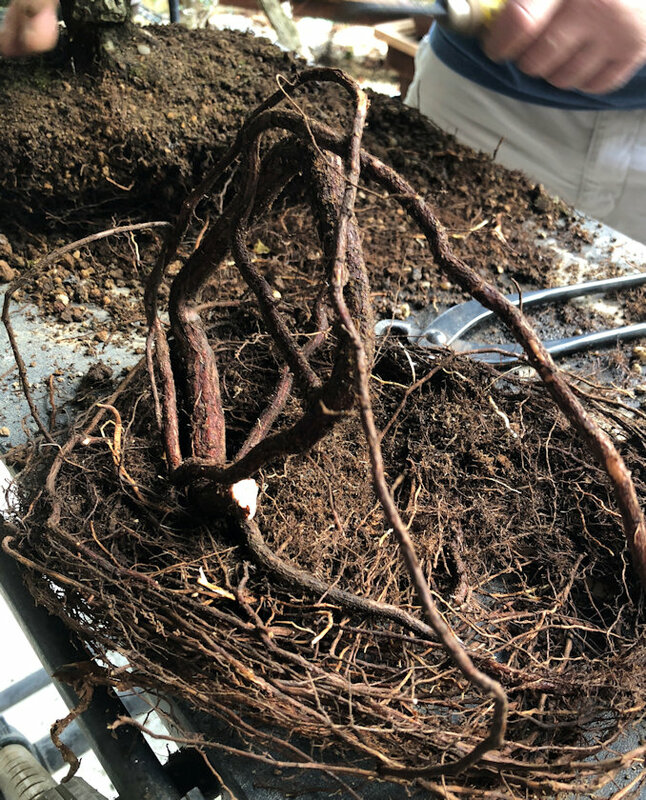 We were able to get it out of the grow pot to find copious root grown and get it placed in a more appropriate pot.